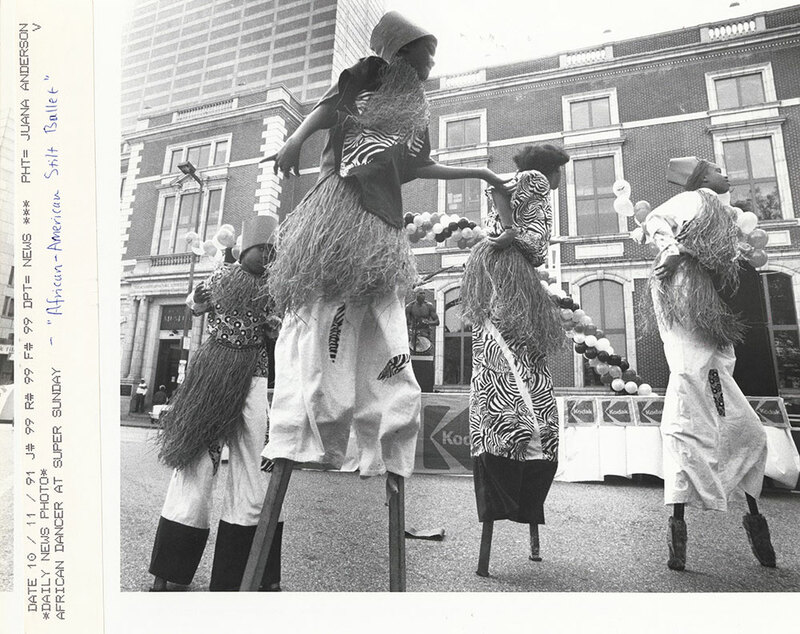 This photograph, taken by Philadelphia Daily News photographer Juana Anderson, features dancers performing the "African-American Stilt Ballet." It was part of the Super Sunday cultural celebration on October 11, 1991. Billed as "a giant block party," and held on the second Sunday of October, the Super Sunday events occupied the Benjamin Franklin Parkway, from the Art Museum to Logan Circle--it was a large-scale celebration of ethnic and cultural Philadelphia. In this particular photo, the dancers are passing by the Academy of Natural Sciences.